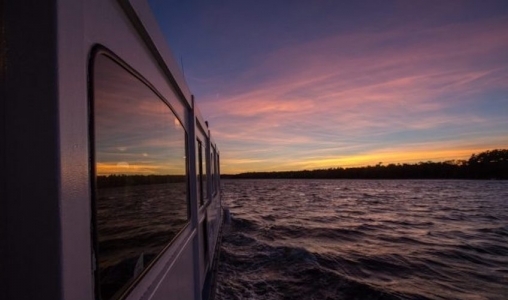 Experience the salt air and cool breeze on an evening on the Montague River system. Enjoy a three-hour cruise with four-course meal while watching wildlife and beautiful sunsets in a glass-enclosed boat. Our 50-passenger boat is licensed with open forward and rear decks.